At some point in the next year or two, your board of directors will suggest a strategic planning session. And if they don’t, they should. The old notion that strategic planning is something you do every five, seven, or even ten years is badly outdated. Yet many nonprofits and public sector organizations continue to conduct strategic planning sessions at infrequent intervals. If that’s your organization, you need to change. Right now. Still not convinced? Think back five years ago. What if someone had told you that your children’s new favorite pastime would be chasing Pokemon with their smartphone? Did your child even own a smartphone yet? The reality is that our world is changing at a rate that outpaces a strategic plan written even a few years ago. When conducting a SWOT analysis, it’s essential to approach the exercise free of preconceived notions. Strategic planning is about charting your way through an unknown future. The conditions that made a past strategy successful are likely nonexistent. For example, imagine developing a marketing strategy that didn’t recognize the importance of social media in reaching younger constituents and customers. It sounds absurd, but until relatively recently “how we’ve always done it” in marketing did not include a social media strategy. Make sure the stakeholders who participate in your SWOT analysis come with open minds. Because, after all, a wide open mind is the only way to plan for a wide open future. Diversity, in all of its forms, is essential to a thorough SWOT analysis. Diversity brings the multiple perspectives you need to create a robust, effective strategic plan. And while ethnic, racial, and gender diversity are important, diversity of thought and experience is also important. Most strategic planning sessions include your board of directors and senior staff members. That population represents the most informed, engaged, and knowledgeable segment of your stakeholders. However, that demographic also represents the group of people who’ve been around your organization the longest. Those stakeholders may fail to recognize new opportunities, or new threats. Make sure you incorporate diverse perspectives in your SWOT analysis. It will strengthen your strategic plan. Working together in a spirit of open dialogue is essential to conducting an effective SWOT analysis. Yet too many strategic planning sessions involve a facilitator speaking to an audience of stakeholders who contribute only when called upon. Instead of that approach, strategic planning and specifically your SWOT analysis should be conducted in a collaborative, open exchange, where ideas matter more than the title of the person who shares the idea. That’s why BoardPaq has developed the first collaborative strategic planning tool designed to help engage your board&apos;s leadership team in developing high-impact strategies that get your organization to the next level. 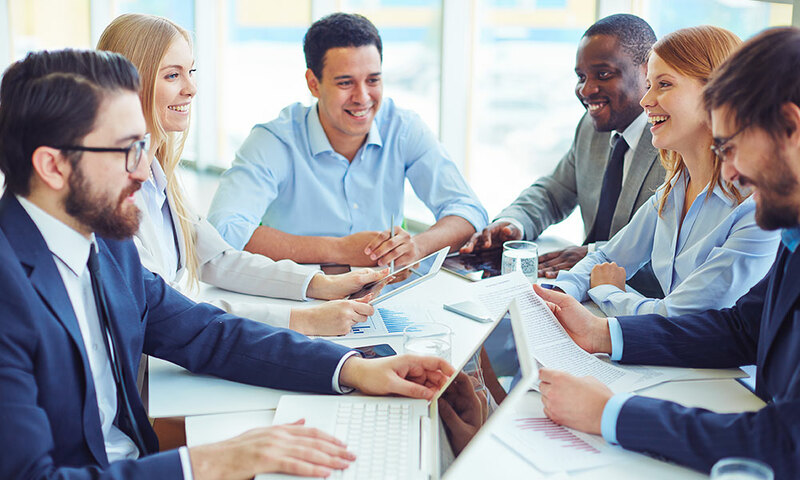 A growing number of associations, nonprofits, higher education institutions, school districts, community banks, and credit unions (among others) are using BoardPaq to not just conduct paperless board and committee meetings, but also to engage in a collaborative SWOT analysis that will put their organization ahead of the curve.